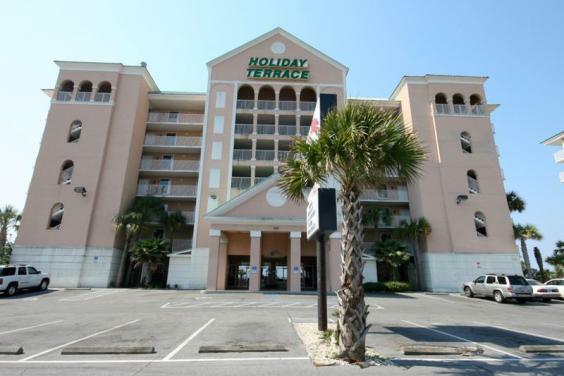 The Holiday Terrace is a 60 two-room suite motel with everything you’ll need to relax, enjoy, and make memories you’ll keep forever here in Panama City Beach, Florida! All of our suites have 2 separate rooms with a large bathroom and a separate vanity area. Also provided for you are efficiency kitchenettes with full size refrigerators, microwave, stove and oven. What our guests like most about our suites are the kitchenettes which provide them with a convenient, affordable, and at home feeling while away on vacation! And let’s not forget the BIGGEST attraction of them all…The Beach! 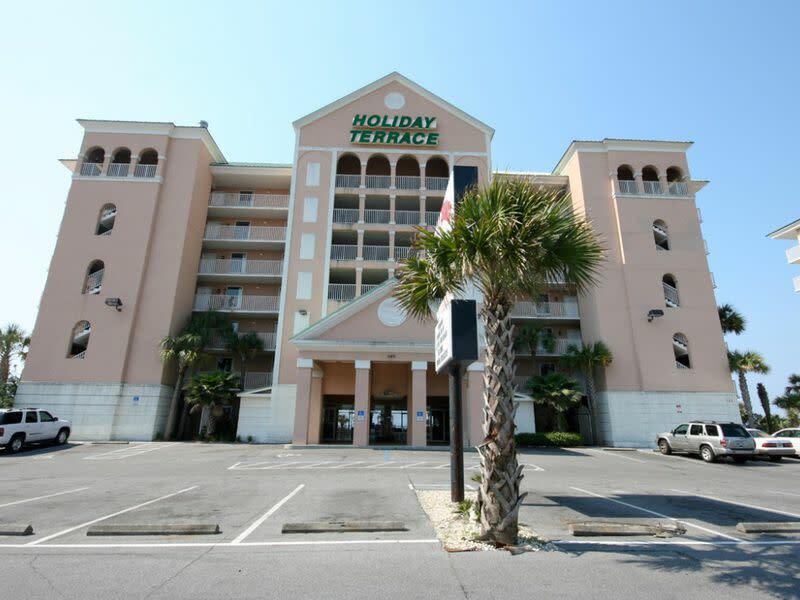 We are located directly on the beach, and all our suites have private balconies that overlook the Gulf of Mexico! Please take the time to look at the recently taken photos of our property and feel free to give us a call if you have any questions.